If you walk a homeschooling journey for any length of time, you are certain to encounter some unexpected bumps in the road. Life has a way of surprising us with moments, both good and bad, that obliterate the best laid plans. Those bumps can come in many forms – moving, a new baby, a job loss, prolonged illness, divorce, the death of a loved one, a family member deployment, a life-altering diagnosis, natural disaster or adoption. These moments often drain our resources, elevate our stress levels and overwhelm us emotionally. It can be difficult, if not impossible to focus the time and energy necessary to produce the homeschooling experience we desire for our children. But what can you do to keep your homeschooling journey progressing while attending to the unexpected moments in life? I have personally weathered three life-altering diagnoses for my children in the past four years. It has been a defining experience for our family. Through it all, I learned a few lessons about keeping the homeschooling journey moving forward. While this step sounds obvious, it can be quite difficult to realize we’re in a situation that has significantly drained our resources until we hit bottom. Whether a major life event is anticipated or arrives in a sudden storm, it is important to be honest with ourselves and recognize that the circumstances will limit our ability to function normally for an unknown period of time. At the onset of any change, the emotional avalanche can mask the exhaustion, making it seem possible to juggle it all. Be realistic about your limitations and the emotional toll of the situation. One of the greatest advantages to homeschooling is the freedom to define your path. Countless hours are spent poring over the proper methodology, curriculum and schedule. Perhaps you've decided that you won’t use electronic devices or rely heavily on workbooks. Or maybe you frequently utilize field trips and library visits for learning. No matter what your personal standards are, it is important to recognize that they may need to be temporarily adjusted to fit within tighter time and energy constraints. I realize that this is easier said than done, as most home schooling families have strong convictions about the path they have chosen. At the same time, understand that simplifying the process for a short time will give you some additional breathing room to navigate and will ultimately get your family back on track quicker in the long run. You may want to consider officially writing out the changes you are going to allow and a specific date to reevaluate the concession to see if it should be extended or removed. This is an active way to stay involved with schooling and can help ease fears that a temporary change becomes a long-term habit. When a life change occurs, it isn't uncommon to have offers of assistance from family and friends. Take it, even if you think you have things under control. One of the biggest challenges is articulating how others can assist you. Write out a list of needs, both large and small. Then you can share the list with those who offer or, even better, designate a close friend or family member to be in charge of the list and organize your team. Begin with basic needs – meals, laundry, house cleaning, dishes or basic errands, such as picking up groceries. Depending on your situation, you may have more specialized needs to consider – childcare, transportation, yard work, adding a ramp to your home or assistance with making arrangements. The advantage of making a list is that you don’t have to feel as though you are imposing on specific individuals. Everyone can choose which need meets their specific abilities and available time. We don’t often think of having others help with educating our children. If you have other local homeschooling families, ask if they would be able to include your children in their work one day per week. As mentioned above, this may mean temporarily altering your path, but the change of pace may ultimately be a welcomed learning experience for your children. And don’t limit your home-school related help requests to other home-school families. Anyone who is able to read can read with your children. Aunts, older cousins, neighbors, grandfathers, and the like can help tutor your children in a specific area. Maybe this is the perfect time to have an uncle hold a week long workshop on woodworking or to have a grandmother teach a class on baking. Perhaps a family friend would be willing to take your children on a local educational field trip for the day. This provides the added benefit of giving you some needed time to both heal and deal with the situation. The most important thing is that you come up with a few suggestions for those who ask. Most individuals won’t think to offer this type of assistance unless you suggest it first. If we, as mothers, have one fatal flaw, it’s that we are so quick to put others ahead of ourselves. It’s easy for this need to become amplified during a crisis as we deal with the guilt of having less time and energy to pour into our children. What we really need in these moments is the ability to put ourselves back together. We must make ourselves a priority if we are going to successfully move forward again. It is imperative that you set aside a few moments each day to sort through emotions. While it may feel foreign or even selfish, you must meet your own needs. Your need for sleep and proper nutrition does not diminish just because your times does. One of the top needs on your help list should be someone to watch your children from time to time just so you can catch up on rest. And believe me, I know this one is hard when there’s so much to be done. It is also important to manage your stress levels in whatever manner suits you best – exercise, prayer, a pedicure, a coffee date, etc. It’s easy to see those activities as frivolous, but in reality, the ability to manage your stress will profoundly impact your ability to see this situation through. There is no shame or guilt in meeting your own needs in the moment. When we neglect ourselves, we will ultimately take everyone down with us. 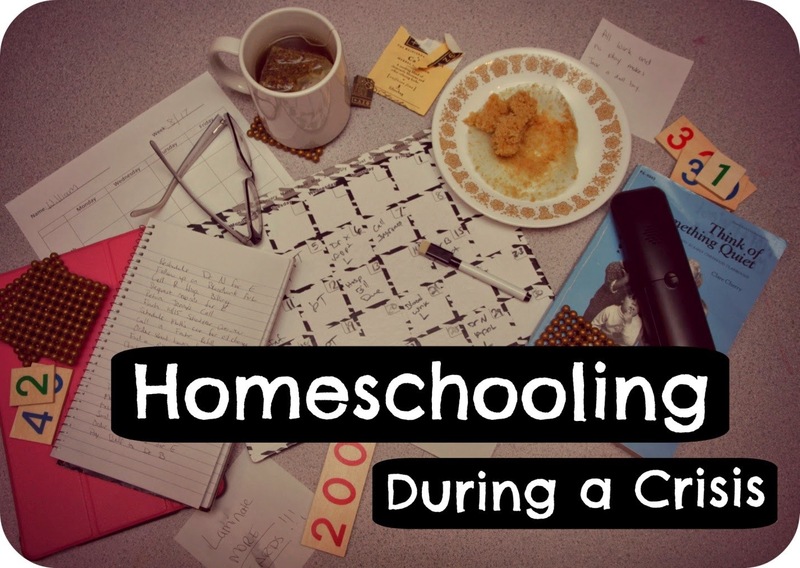 As homeschoolers, we worry about academics. Yes, reading, math and science are very important. However, when we homeschool, we are not simply holding school at home. We are attempting to provide our children with a rich experience that prepares them for the world. The reality is that one day, they will help their friends through a crisis or experience one themselves. The lessons our children learn by watching us cope with a major life change are critically important and can’t be taught in any boxed curriculum. Do not underestimate the opportunity a family crisis can present for your child. It is a profound time when compassion and empathy are experienced, where the unique chance to rise to the occasion is presented. In those moments, we see what community is. We learn to love and be loved. And that’s the most important lesson they could ever learn. 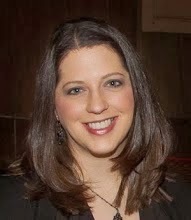 Bess Wuertz is a Montessori enthusiast who has been using the method at home with her three children for five years. 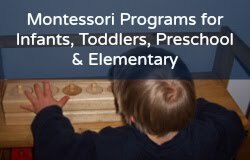 She completed primary training with KHT Montessori and received a paraprofessional certificate from Montessori Garden Academy. She is currently undergoing training for Montessori Elementary through Keys to the Universe. She writes about her experiences at: graceandgreenpastures.com and on Facebook at GraceAndGreenPastures.